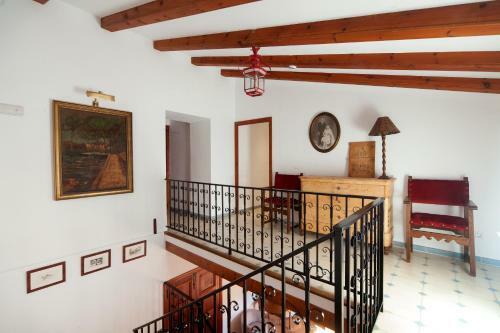 Bed and Breakfast Cal Secretari Vell - Turismo de Interior in Sa Cabaneta is a B&B with 4 Rooms. Boasting an outdoor swimming pool and a restaurant, Cal Secretari Vell - Turismo de Interior is set in La Cabaneta. Among the various facilities of this property are a garden, a terrace and a shared lounge. The accommodation provides a tour desk, and luggage storage for guests. At the hotel, the rooms are equipped with a desk and a TV. 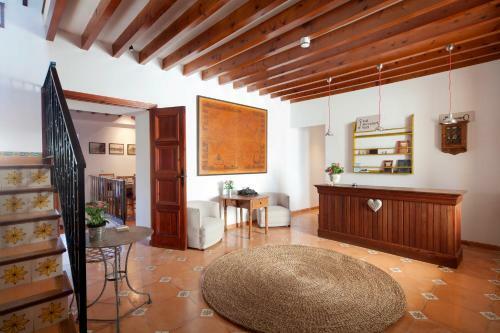 With a private bathroom fitted with free toiletries, rooms at Cal Secretari Vell also have free WiFi, while certain rooms are equipped with a balcony. All units w...ill provide guests with a wardrobe and a kettle. A buffet breakfast is served daily at the property. Palma de Mallorca is 14 km from the accommodation, while Alcudia is 46 km away. Palma de Mallorca Airport is 14 km from the property. Boasting an outdoor swimming pool and a restaurant, Cal Secretari Vell - Turismo de Interior is set in La Cabaneta. Among the various facilities of th...is property are a garden, a terrace and a shared lounge. The accommodation provides a tour desk, and luggage storage for guests. At the hotel, the rooms are equipped with a desk and a TV. With a private bathroom fitted with free toiletries, rooms at Cal Secretari Vell also have free WiFi, while certain rooms are equipped with a balcony. All units will provide guests with a wardrobe and a kettle. A buffet breakfast is served daily at the property. Palma de Mallorca is 14 km from the accommodation, while Alcudia is 46 km away. Palma de Mallorca Airport is 14 km from the property. 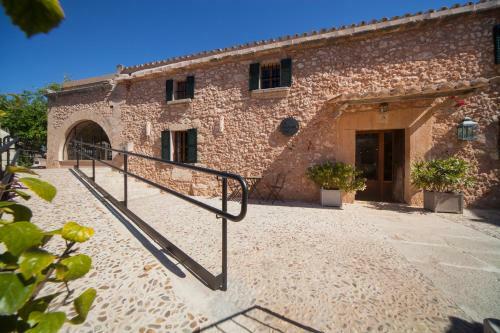 When would you like to stay at Cal Secretari Vell - Turismo de Interior? Children and extra beds All children under 3 years are charged EUR 15 per person per night for children's cots/cribs. All older children or adults are charged EUR 30 per person per night for extra beds. The maximum number of children's cots/cribs in a room is 1. The maximum number of extra beds in a room is 1. Supplements are not calculated automatically in the total costs and will have to be paid for separately when checking out. Any type of extra bed or child's cot/crib is upon request and needs to be confirmed by the innkeeper. Accepted credit cardsVisa, Euro/Mastercard, UnionPay credit card. The Bed and Breakfast reserves the right to pre-authorise credit cards prior to arrival.